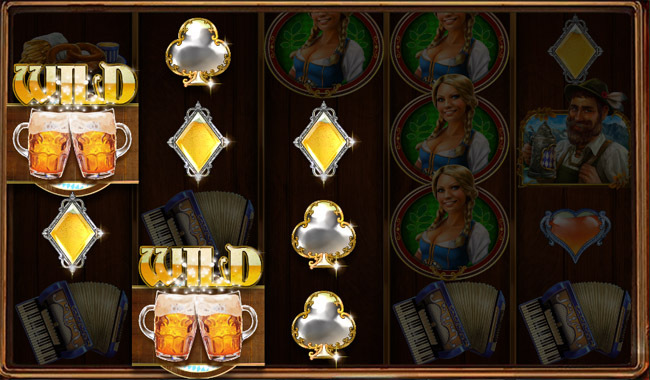 For all those beer lovers, Red Rake Gaming brings the Heidi at Oktoberfest video slot. This amazing game with 5 reels and 50 pay lines will completely win your hearts. There's gonna be plenty of food, cheers, and all the beer you can get. While you play, Heidi with a big bright smile on her face will show up, bringing more to your table. So, you'll be set for the night. In this cheerful crowd, you'll have so much fun, particularly if the beer is your drink of choice. And if it isn't, stick around anyway, because the festivities have just begun. It's time for the Oktoberfest, the best time of the year. With different kinds of food and all the beer in one place, even Heidi decided to participate. At the moment, we can find her in a tavern. She looks really happy, carrying mugs full of beer. In here, the atmosphere is great, especially with someone playing the accordion in the background. The situation will get pretty Wild, and a lot of beer will get spilt. But as it is the Oktoberfest, there is plenty to go around. To prove that, there will a few extra kegs in the tavern. Also, there will be snacks everywhere to make your experience quite memorable. Besides the beer, Heidi, and a few other symbols noted above, you'll notice clubs, spades, diamonds, hearts, oak nut, and the old-looking building. There are 2 Scatters, and those are Heidi with and without mugs. Two mugs of beer are the Wild, and you're going to love all the toasting. 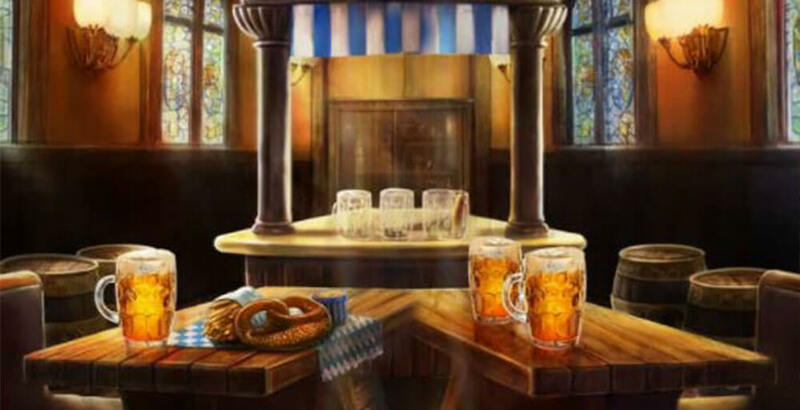 During this Oktoberfest, Heidi has the lead role, and even though you'll have success in the base game, it's of great importance to unlock the special feature if you want to earn significantly. The special free spins feature is triggered with 5 or more Heidi Scatters. Both Scatters are included, but they do bring a bit different kind of rules. Scatters need to land beginning from the first reel on the left, and continue doing so on the next reel, and so on. The position doesn't matter as long as those reel with Heidi on them are first neighbours, starting from the left. During the regular game and inside of free spins, the Wild will appear and presume his replacement role, except in Heidi's case. All those Scatters, featuring Heidi with mugs which activated the Free Spins, they will be given a special role. In those exact positions, they will stay and turn into Wilds, sticking on the reels until the free spins feature ends. This way your odds can really be improved. Heidi takes you to one of the most famous festivals, and if you like the beer, then you should definitely follow her. Not only you'll fall in love with the game, you'll also have a chance to use all the free spins generously offered by this cheerful lady. The sound, the animations, the graphics provide a perfect blend. And it would certainly be a shame to miss it. Welcome to Alf Casino! Register Today And Receive A 100% Up To 500€ + 200 Free Spins Bonus. Welcome to Maria Casino! Play now and get 400%* bonus up to €40 + 100 free spins. 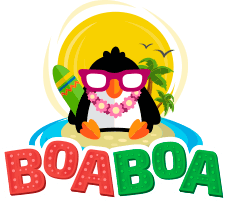 Welcome To BoaBoa Casino! Register Today And Receive A 100% up to €500 Bonus + 200 Free Spins. Welcome To CampoBet Casino! Register Today And Receive A Bonus Of 100% Up To €500 + 200 Free Spins.